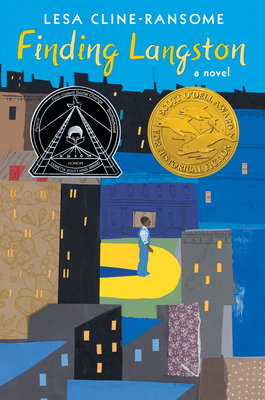 When eleven-year-old Langston's father moves them from their home in Alabama to Chicago's Bronzeville district, it feels like he's giving up everything he loves. It's 1946. Langston's mother has just died, and now they're leaving the rest of his family and friends. He misses everything-- Grandma's Sunday suppers, the red dirt roads, and the magnolia trees his mother loved. In the city, they live in a small apartment surrounded by noise and chaos. It doesn't feel like a new start, or a better life. At home he's lonely, his father always busy at work; at school he's bullied for being a country boy. But Langston's new home has one fantastic thing. Unlike the whites-only library in Alabama, the Chicago Public Library welcomes everyone. There, hiding out after school, Langston discovers another Langston--a poet whom he learns inspired his mother enough to name her only son after him. Lesa Cline-Ransome, author of the Coretta Scott King Honor picture book Before She Was Harriet, has crafted a lyrical debut novel about one boy's experiences during the Great Migration. Includes an author's note about the historical context and her research. Lesa Cline-Ransome is the author of Before She Was Harriet, a Coretta Scott King Honor Book, a nominee for an NAACP image award, and winner of the Christopher Award. Her other books include Benny Goodman & Teddy Wilson: Taking the Stage as the First Black-and-White Jazz Band in History and Just a Lucky So and So: The Story of Louis Armstrong.